Time for fresh new music! 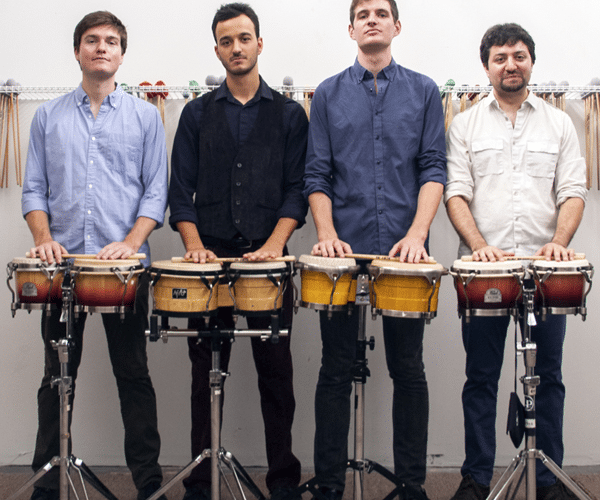 Cellist and Astral Artist Gabriel Cabezas returns to LiveConnections for a daring collaboration with the extraordinary Sandbox Percussion. 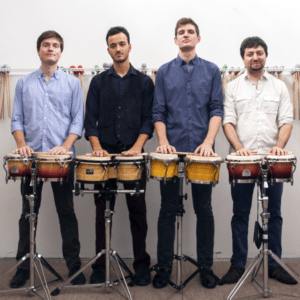 The quartet and Cabezas will perform a world premiere by composer Alyssa Weinberg, as well as Steve Reich’s “Drumming,” a solo cello work by Pulitzer Prize-winning composer Caroline Shaw, and Andy Akiho’s “21” for marimba and cello. 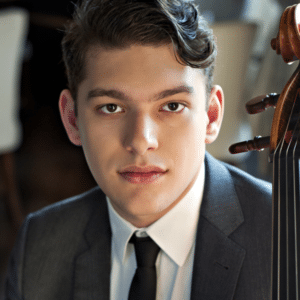 Hailed as “an intense player who connects to music naturally, without artifice, and brings a singing line to the cello” by The Oregonian, Gabriel Cabezas is one of America’s most sought after young musicians. Remember when Gabriel Cabezas performed in a LiveConnections concert in February 2014 with dancer Chloe Felesina?